AXIOM Best Quality Horse Blankets by Solution Raider. Best quality horse blanket is at much lower price than other name brands! 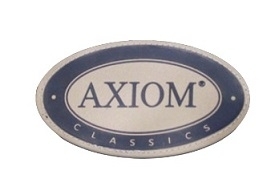 AXIOM is a well established top quality horse blanket brand sold in Australia and Europe for over a decade. The brand and its proven quality is backed up by thousands of loyal and satisfied customers. AXIOM is continuously thriving. It has its debut in North America in 2013, customers are able to purchase the best quality blanket for their horses at the best price. Solution Raider Ltd is the exclusive distributor in North America for AXIOM brand. Our website www.shophorserug.com contains horse blankets you will need for harsh winter. We stand one hundred percent behind our products, customer satisfaction is our goal to strive for. We pride ourselves in the top quality and variety color selection of horse blankets, we provide online shopping with prompt delivery straight to your doorstep. The winter selection includes 1800D ballistic nylon heavy and medium weight horse blankets and we will soon carry 1800D ballistic nylon dog blanket at various sizes. Feel free to browse our website to take advantage of the special prices and the fast and reliable delivery.